More than 60 years ago in the lower reaches of the Himalayas, a few ponds formed due to the slow melt of the Imja glacier. Like little secrets, they stayed hidden from view. Today they are gone, swallowed up by a ballooning lake that fascinates trekkers and locals alike. Imja Lake is an imposing body of water that stretches for nearly two kilometres. It is a stunning vista, but the lake poses a deadly threat. As the glacier melts faster than ever, due to global warming, the lake’s water levels keep rising. The fear is it could burst its banks, or worse yet that a quake could trigger an outburst, sending water cascading downstream that could kill thousands of people. Sitting at an altitude of 5010 meters, about 148 meters deep, and holding over 75 million cubic meters of water, an outburst from Imja could cause massive destruction, affecting between 90,000 to half a million people, and damaging property worth over US$ 9 billion. To blunt that threat, the Government of Nepal and Nepal's Army, with support from the Global Environment Facility and UN Development Programme, have built a system to relieve pressure on the lake. Sensors monitor water levels and water is released via a canal. Sensors monitor water levels and water is released via a canal.Photo: Kamal Raj Sigdel. Knowing that the lake is being monitored is a relief for people who live downstream. Fumu Yangzum does a little farming for a living and also runs a guesthouse for trekkers. When she was about 8 years old farming with her parents, they heard an unusual and loud explosion. She recalls the entire mountain vibrating. We looked at the Dudh Koshi river and we could see a huge mass of water, debris, and wood spiralling down the river. The flood swept away her uncle’s house, barn, and the cows he owned. It swept away entire villages, she recalls. People say Imja can burst anytime and we hear rumours time and again, she adds. Remote sensing and other studies based on satellite data reveal that there are over 1400 such lakes in the Hindu Kush Himalayan range, spread across Afghanistan, Pakistan, India, Nepal, Bhutan and China. 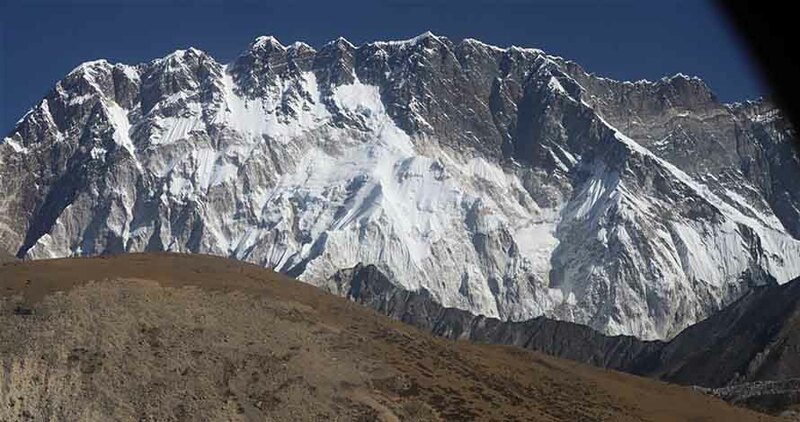 At least 21 in Nepal are identified as potentially dangerous, six are considered high risk, including Imja Lake. In 2015, when Nepal was struck by a major earthquake, people living downstream from Imja expected the worst.